Your once proud deck is starting to look a little worse for wear. As they say, all good things must come to an end. The problem: you do not have the expendable budget to build a brand new deck, so total replacement is out the window. Fortunately, there is a cost-effective way to give your deck a facelift: Redecking. With 40 years of experience, Freedom Fence and Home has provided the highest quality fence and decking services to its many residential and commercial clients throughout Maryland. Our crews are highly trained and ready to help. Freedom Fence and home has successfully completed hundreds of redecking and deck replacements projects throughout Pasadena and the surrounding area. The finished product looks like a brand new deck, but for a fraction of the cost of a total replacement. In fact, redecking can save homeowners as much as 20% over deck replacement. Because the structure remains the same, redecking is typically a much faster option than deck replacement. 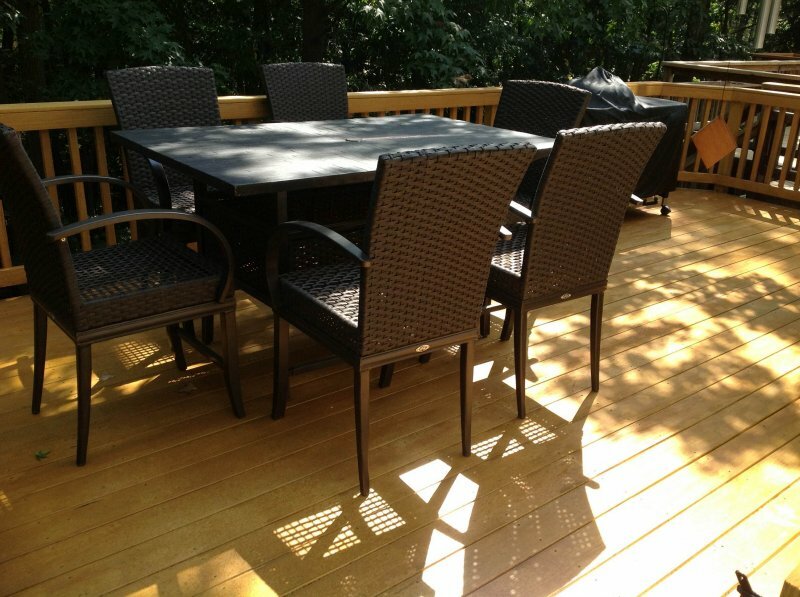 Redecking is an excellent time to consider enhancing your deck with low maintenance options. While the structure of your deck will remain wood, the railings and deck boards will be made of composite or vinyl materials. Hello, minimal maintenance! The only way to tell if your deck is a candidate of redecking is to have it inspected by the professionals at Freedom Fence and Home. We will visit your home and inspect your deck to ensure it is a candidate for redecking: Is the structure sound? Are the footings sound? What kind of condition is the wood/lumber in? etc. If you have any questions about Redeckingin Pasadena, please contact Freedom Fence and Home by calling 443-271-6841 or visit our website. You can also follow us on Facebook and Twitter! This entry was posted on Tuesday, December 30th, 2014	at 9:33 pm	. Both comments and pings are currently closed.